Your friend is screaming bloody murder into your headset. 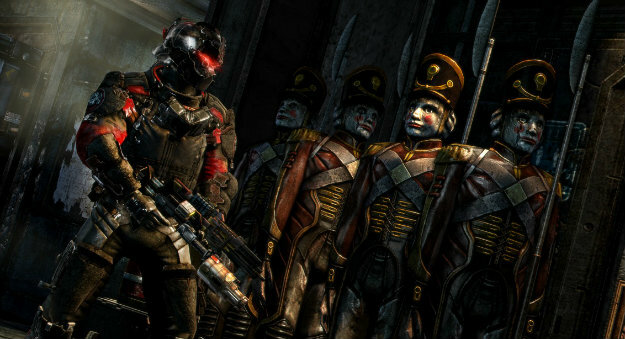 Necromorphs surround both Isaac Clarke and John Carver, and your co-op pal – as Clarke – is doing his best to fight back the horde. He’s furious though, because you’re just standing there. What he doesn’t realize is that your Carver is actually deep inside his own subconscious, fighting back internal demons that have taken the form of Necromorphs. On his screen, Carver is motionless and useless; on yours, a flurry of action captures your attention. Both human players are confused, and confusion leads to mistakes. Clarke is gruesomely torn apart and a Game Over screen appears. 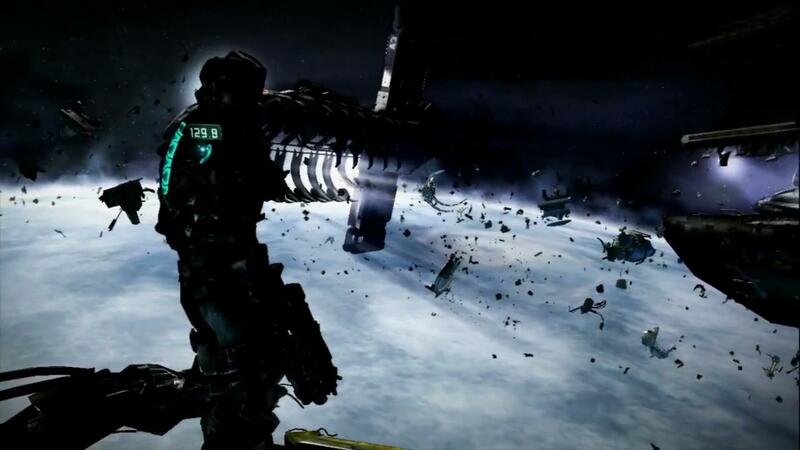 This is the co-op portion of Dead Space 3 at its very best. Visceral knew full well that it’s tough to keep players on edge when they’re babbling back and forth in a co-op game, and so the dev team engineered moments that pit Clarke and Carver against different, mutually exclusive challenges without warning. It’s an easy fit for a franchise narrative that deals heavily with insanity. 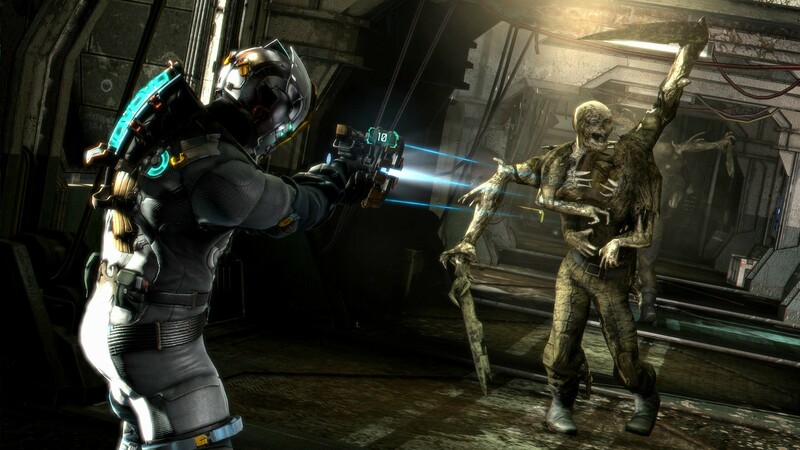 “From the start with Dead Space, there were definitely strong themes around dementia and specifically the dementia induced by the Marker,” executive producer Steve Papoutsis told us. Coping with dementia in a stressful situation is a theme that emerged even more in Dead Space 2 and Dead Space 3. The latest game also adds another wrinkle in the form of Carver who, much like Isaac, is a victim of the Marker’s influence. Papoutsis cites H.P. Lovecraft as an essential point of reference for creative director Ben Wanat, and the links are easy enough to see for anyone familiar with the Cthulhu creator’s work. Even still, the most difficult thing for Visceral to process prior to release is the fear factor. How can you really tell if players will, by and large, find a particular moment scary? Focus testing seems like the obvious answer here, but it’s really not. Unfortunately, this fact makes focus testing difficult when it comes to measuring that aspect of the game. Papoutsis typically observes players closely as they play during these sessions looking for cues. Papoutsis admits that the playing environment is also a key factor in making focus tests less than helpful for working out which scare moments work and which don’t. “I think if you’re in a room with other people and the lights are on in a focus test, it’s probably not going to be as scary as if you’re at home with your headphones on in a dark room,” he says. 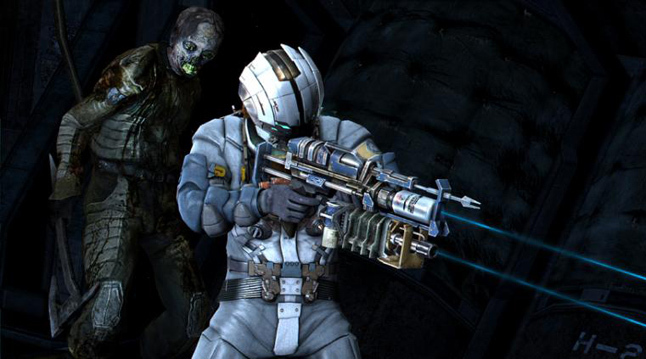 The Dead Space franchise debuted in 2008 and has spawned two sequels and the spin-off games: Dead Space: Extraction, an on-rails shooter for the Wii, Dead Space: Ignition, a puzzle game, and a Dead Space mobile game. The franchise has also produced two animated films, comics, and original novels based on the material. “When you think about some of the scenes in Dead Space 2 where Isaac is having a flashback moment,” Papoutsis said, “we’re talking about coordination between the audio group, the animation group, the visual effects team, the design team, the character art team, the environment art team in some places, all of those disciplines need to coordinate and work together. 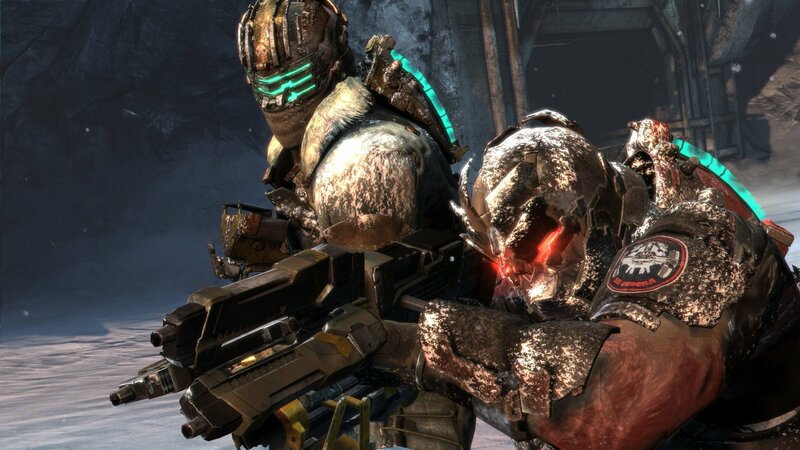 Dead Space 3 complicates everything with it’s co-op. No longer can the team be content to create a spooky environment and then populate it with jump scares. Those tactics still work with two players on the board, but they must be used much more sparingly. As a result, the team is forced to look at other potential sources of horror. When you play the game alone, you take control of the series’ original protagonist, Issac Clarke. In this mode, the character of John Carver melts into the background. He appears at times, but he is not an AI controlled partner, rather a piece of the story. When you play the co-op mode, however, Carver’s story is very much integrated into the game and a completely new narrative emerges. The recently released graphic novel, Dead Space: Liberation, also helps to build Carver’s backstory. “We also took a very different approach to doing our co-op; it is additive, in that it adds additional flavor and context to Carver’s personal story. It doesn’t change the end story in any way, it just gives you more detail around his journey. It’s from this idea that the moments of dissonant play discussed up top emerged. The in-game characters are experiencing different things in a particular moment and dealing with it in their own way, and the players are given a different experience because of it.